Similar to the Reggio “pedagogista”, TLS is creating the role of mentor teacher. With our ongoing efforts to live the little in The Little School, we discovered that we could thrive just that much more with this role. Like the name suggests, they are there to work with the teachers, help them brain storm ideas, trouble shoot sticky patches, and be another set of eyes, ears and big brains in your building. We are hoping they will be a quick access point for teachers and parents alike. We are thrilled to see this dream in action. 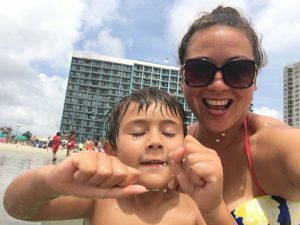 Alli grew up on Long Island, but her family’s yearly trips to Carolina Beach constantly made North Carolina feel more like home. She always knew she liked working with children, but she discovered her true passion for early childhood education while earning her Bachelor’s degrees from UNC-Chapel Hill in both Education (Child Development and Family Studies) and Psychology. Alli has been a teacher at The Little School at Duke since she graduated from UNC in May 2014. Now in addition to teaching, she is also currently working on her Master’s degree in Child and Adolescent Developmental Psychology. In any spare time that she has left, Alli loves to sing (timidly) and play guitar, ukulele, and the drums!